Located in Knoxville, Tennessee, Ellis Law Firm, PLLC is a general practice law firm providing legal services to Knox County and the state of Tennessee. The law firm was founded by Knoxville attorney Ruth Ellis, a trial lawyer with over twenty-five years experience. Combining old fashioned values with innovative ideas and proven experience, we provide personalized service to our clients extending well beyond the scope of what most other firms offer. We believe in listening to our clients, then partnering with each client to develop a unique plan of representation. It is this simple yet refreshing approach which sets us apart. We would welcome the opportunity to put our experience to work for you. 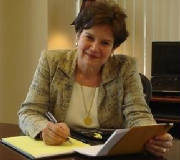 Attorney Ruth Ellis has represented clients on numerous matters in state and federal trial courts and courts of appeal. Her law practice has ranged from representing large multi-state corporations to representing adolescents. She previously practiced law with Phillips and Wilson Attorneys and Counselors at Law (the former practice of the Honorable Thomas W. Phillips); Ritchie, Fels & Dillard, P.C. ; and Shields & Ellis, PLLC. Although Attorney Ellis has experience with all types of litigation in all courts, one of her favorite areas of practice is representing adults and youths with psychological, drug or alcohol problems who have received a criminal charge or have other legal difficulties. In these types of cases, she utilizes a holistic approach to the practice of law by focusing not only on the immediate legal problem, but also on the life pattern which led to the current problem and will likely lead to future legal problems. She then partners with her client to develop a unique rehabilitation plan which sets in place a series of events designed to help the client get his or her life back on track, both legally and personally. A Knoxville native, Ruth Ellis has developed and maintains a wide network of professional contacts throughout the community, such as investigative experts and drug and alcohol counselors. She enjoys speaking at seminars and in front of various local associations on such topics as DUI, Automobile Injury Cases, and "How to Turn a Criminal Charge into a Blessing." 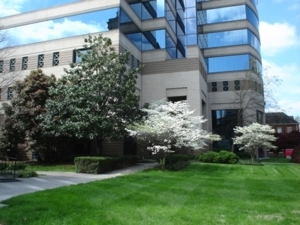 Certifications of Specialization are available to Tennessee lawyers in all areas of practice relating to or included in the areas of Civil Trial, Criminal Trial, Business Bankruptcy, Consumer Bankruptcy, Creditor's Rights, Medical Malpractice, Legal Malpractice, Accounting Malpractice, Elder Law, Estate Planning and Family Law. Listing of related or included practice areas herein does not constitute or imply a representation of certification or specialization.